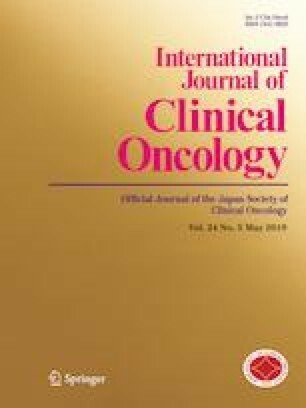 The Japan Study Group for Cell Therapy and Transplantation (JSCT) organized a phase II study to evaluate the efficacy and safety of a treatment protocol (JSCT-MM12) for multiple myeloma (MM) patients who were previously untreated and transplantation-eligible. Since bortezomib-based therapy is known to be effective for MM, the protocol is intensified more than the previous protocol (JSCT-MM10) and comprised the subsequent treatments: bortezomib + cyclophosphamide + dexamethasone (VCD) induction; bortezomib + high-dose-melphalan (B-HDM) conditioning with autologous stem cell transplantation (ASCT); bortezomib + thalidomide + dexamethasone (VTD) consolidation; and lenalidomide (LEN) maintenance. Sixty-four symptomatic patients aged between 20 and 65 years were enrolled for treatment and received three cycles of VCD, followed by cyclophosphamide administration for autologous stem cell harvest and B-HDM/ASCT, and subsequently two cycles of VTD, after that LEN for 1 year. Complete response (CR)/stringent CR (sCR) rates for induction, ASCT, consolidation, and maintenance therapies were 20, 39, 52, and 56%, respectively. The grade 3/4 toxicities (≥ 10%) with VCD treatment included neutropenia (27%), anemia (19%), and thrombocytopenia (11%). There was no treatment-related mortality. After median follow-up of 41 months, estimated 3-year progression-free survival (PFS) and overall survival (OS) rates were 64% and 88%, respectively. The high-risk group revealed lower CR/sCR, PFS, and OS than the standard-risk group. The study revealed that the treatment protocol consisting of VCD induction, B-HDM/ASCT followed by VTD consolidation, and LEN maintenance could produce highly beneficial responses and favorable tolerability in newly diagnosed MM. However, future study is required for improving treatment in the high-risk group. We are grateful to Professor Koji Yonemoto (Ryukyu University) for the data analysis. This work was supported by a grant from the Regional Medicine Research Foundation (Tochigi, Japan). Kazutaka Sunami received research funding from Ono Pharmaceutical, MSD, Celgene, Abbvie, Takeda pharmaceutical, Sanofi, Bristol-Myers Squibb, Daiichi Sankyo, Janssen, Novartis, Alexion Pharma and GlaxoSmithKline, and received honoraria from Ono Pharmaceutical, Celgene, Takeda Pharmaceutical, and Bristol-Myers Squibb. Morio Matsumoto received honoraria from Janssen, Celgene and Ono Pharmaceutical. Shin-ichi Fuchida received honoraria from Takeda Pharmaceutical. Hiroyuki Takamatsu received honoraria from Janssen and Celgene. Toru Kiguchi received research funding from Daiichi Sankyo, Bristol-Myers Squibb, Otsuka Pharmaceutical, Kyowa Hakko Kirin, MSD, Astellas, Nippon Shinyaku, Novartis, Sumitomo Dainippon, Janssen, Celgene, Symbio Pharmaceutical, Taiho Pharmaceutical, Teijin, Sanofi and Celltrion. Toshihiro Miyamoto received honoraria from Celgene and MSD. Junji Suzumiya received honoraria from Eisai, Celgene, Janssen, Chugai Pharmaceutical, Abbvie and Takeda Pharmaceutical, and research funding from Chugai Pharmaceutical, Eisai, Takeda Pharmaceutical, Kyowa Hakko Kirin, Astellas, Toyama Chemical, Celgene, Celltrion and Symbio Pharmaceutical. Yasushi Takamatsu received honoraria from Ono Pharmaceutical, Kyowa Hakko Kirin and Janssen, and received from research funding from Takeda Pharmaceutical, Ono Pharmaceutical and Celgene. Koichi Akashi received honoraria from Takeda Pharmaceutical, Bristol-Myers Squibb, Novartis, Kyowa Hakko Kirin, Janssen, Pfizer, Chugai Pharmaceutical, Ono Pharmaceutical, Eisai, Astellas and Celgene, and received research funding from Taiho Pharmaceutical, Sanofi, Novartis, MSD, Astellas, Bristol-Myers Squibb, Eli Lilly, Kyowa Hakko Kirin, Chugai Pharmaceutical, Asahi Kasei, Eisai, Otsuka Pharmaceutical, Ono Pharmaceutical, Teijin, Nippon Shinyaku, Shionogi, Mitsubishi Tanabe, Sumitomo Dainippon, Toyama Chemical, Daiichi Sankyo, Takeda Pharmaceutical, Yakult, Taisho Toyama Pharmaceutical, The Chemo-Sero-Therapeutic Research Institute, Alexion Pharma and Merck Serono. The other authors have no conflict of interests to declare.